We manufacture High Pressure Laminate, Low Pressure Laminate, and veneer tops. Our products have been used in schools, hotels, and offices around the United States and Canada. We not only apply edgebanding to tops, we top laminate parts in house, eliminating intermediaries and getting products to customers faster. Our factory located in Depauw, Indiana has over 160,000 square feet and holds more than 24 pieces of large machinery. We have seven banders for High Pressure Laminate banding. One of our seven banders is a laser bander that melts on bands instead of using glue for a cleaner look. 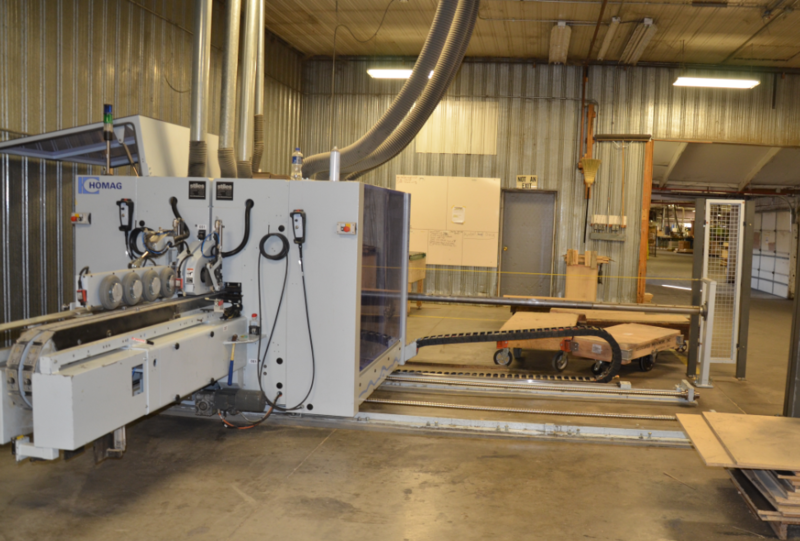 We also have eight CNC machines. Four of these machines are "BAZ" machines capable of drilling patterns and banding curved materials. The other four CNC machines are WEEKES that can be used for drilling patterns and cutting. We have two ﻿Post Former machines﻿ capable of applying a bent plastic top to curved tops. 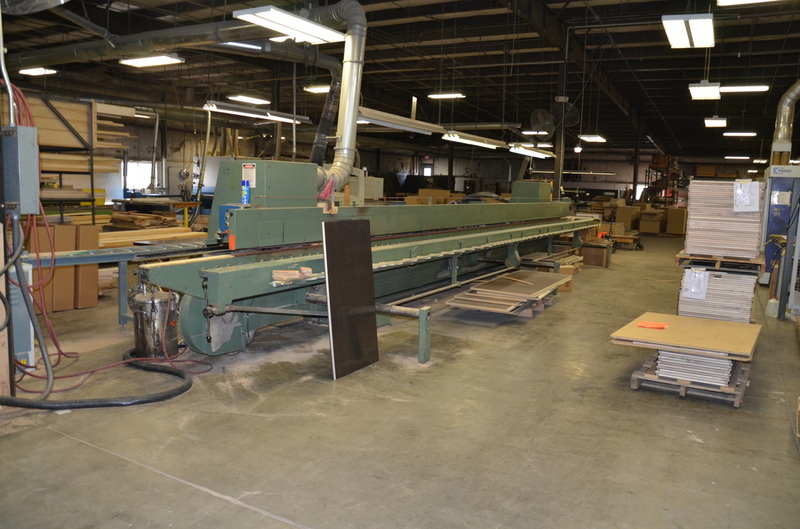 We also have five panel saws. Pictured above, one of two post formers. Very few companies offer this service in North America. Above is our newest Double End machine that eliminates excess lumber.